Home Travel 10 Secret Hotels You Need To Visit To Rejuvenate Yourself! It is important to rejuvenate yourself once in awhile especially because of the concrete age we are currently living in . These hotels will help you be in harmony with nature and also make sure you spring back from your vacation as good as new! 1). Elephant Valley Eco Farm, Kodaikanal. If you fantasize about living in tree houses then this is just the right place for you. If you’re lucky you might even spot some rare birds in the vicinity of the hotel. Nestled, on 100 acres of Palani hills this eco farm is just the bliss you are looking for! 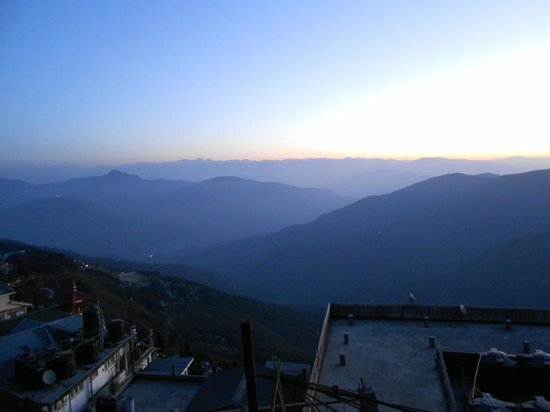 Hotel Tranquility is located in the hills of Darjeeling and offers a picturesque view of the hill station and Mt. Kanchenjunga. The serene surroundings, picturesque locations and scenic views will leave you enthralled indeed! 3). The Porcupine Castle, Coorg. Porcupine Castle is just the right place to shake off all your exhaustion and stress. It offers a royal view of Coorg and will leave you captivated with the city’s beauty. Vythiri Resort in Wayanaad is just the place to chill out after a long week. This resort offers massages, ayurvedic treatments, nature trails and walks as well. 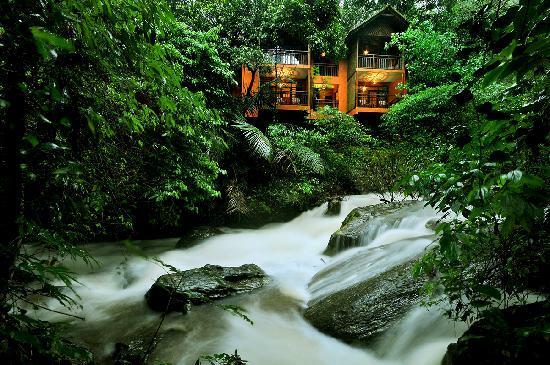 It is located in the rain forests and is wrapped right into the beauty of nature making it as picturesque as ever. This ecological village offers a rustic charm and is a world apart from the goan beaches. Be it meditation, skill classes or yoga they offer it all. If vacationing in a desert is your calling, then this camp is definitely your retreat. It is located in Jaisalmer and offers a whole new experience to tourists! This resort is most recommended if you want to cut off from the world of technology during your vacation. Be it wifi or electricity, Leh is weak in all these perspectives and thereby is indeed a recommended place to stay for perfect rejuvenation. The Hidden Forest is located at a height of 4500 ft above sea level and will offer the perfect retreat from all the grub and traffic of the concrete world. If forests fascinate you, then the Tree House Hideaway in Bandhavgar is a must visit. This place boasts of hosting the highest number of tigers in the country. The Coconut Lagoon offers excessive solitude in the lap of backwaters and butterflies. It is a must visit if you love greenery and peace. So which ones midst these are you planning to visit this season? Let us know in comments! Previous article10 Must-Have Beauty Products That Won’t’ Break Your Bank! Next articleShah Rukh Khan’s ‘Fan’ Second Teaser: It’s BRILLIANT! EPIC: This Couple Got The ‘Bahubali’ Art Director To Design A ₹55 Crore Wedding! Watch How Kashmiri Women React To Help From Kerala Women During Kashmir Floods. PM Narendra Modi’s Suit Sold For 4.31 Crores. What A Genius Our PM Is.